Hill-Rom hospital beds and support surface mattresses offer clinical features and benefits for various patient illnesses and conditions. Hill-Rom hospital beds & support surfaces provide the ultimate in comfort and support for long-term or short-term use in the home. Here at Daily Care Medical Supplies we have the best prices for purchase or rental of Hill-Rom products. 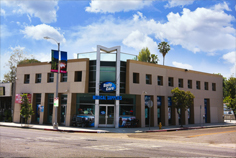 Call now and speak with a sales professional (818) 705-0606. No 500 lbs. 80"-84" x 35"
For patients searching for a hospital quality bed for rental, look no further. 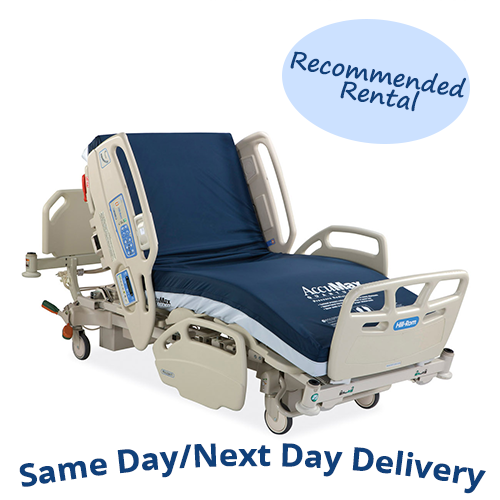 The Hill-Rom Careassist ES rental is the exact bed used in 80% of hospitals across the United States. 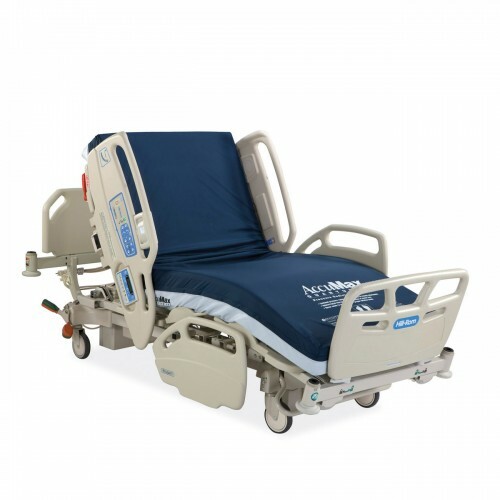 The Hill-Rom Careassist is a high end hospital bed that has incredible patient safety and comfort. The bed offers advanced positioning allowing for an infinite number of various positions. Along with this the bed also has drop down rails that can cover the entire bed, which works great for patients who have a fall risk. For patients searching for a hospital quality bed f, look no further. The Hill-Rom CareAssist is the bed used in 80% of hospitals across the United States. 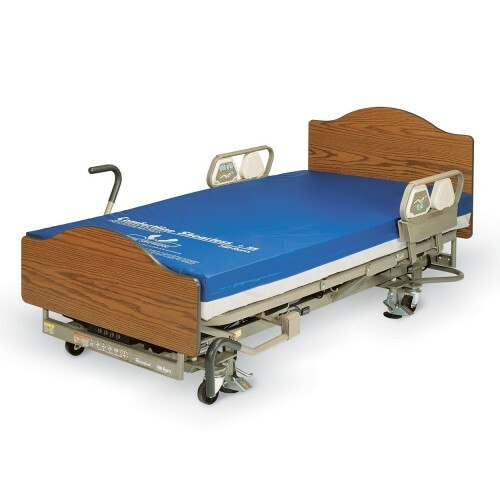 The Hill-Rom CareAssist is a high-end hospital bed that has incredible patient safety and comfort. The bed offers advanced positioning allowing for an infinite number of various positions. Along with this, the bed also has drop down rails that can cover the entire bed, which works great for patients who have a fall risk. RX Required. The Resident LTC Bed was designed to deliver a combination of function, aesthetics, and durability to enhance well-being. This bed is an ideal long-term homecare bed with its classic wood foot and headboards, motor functions and comfort. Safety and style at an affordable price. The 100 Low Bed possesses user-friendly, easy to use safety features. This hospital bed lowers 9” to the ground making a safer environment for any patient that may be at a fall risk. For individuals with mild conditions who have some mobility, limited caregiver dependence and are at potential fall risk Daily Care Medical Supplies recommends the Resident LTC Bed or 100 Low Bed. The Resident LTC Bed was designed to deliver a combination of function, aesthetics, and durability to enhance well-being. The 100 Low Bed possesses user-friendly, easy to use safety features. This hospital bed lowers 9” to the ground making a safer environment for any patient that may be at a fall risk. For individuals with moderate conditions who have low mobility, some caregiver dependence and potential risk of fall, Daily Care Medical Supplies recommends the CareAssist ES Bed or the Advanta 2 Bed. The CareAssist is the most popular Hill-Rom bed sold for homecare use. 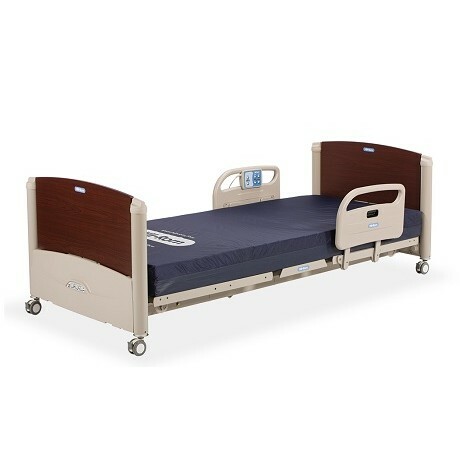 This hospital bed provides easy-to-use features intended to help manage safety, comfort, and positioning. The caregiver friendly, lowering full side rails help prevent falls all together. 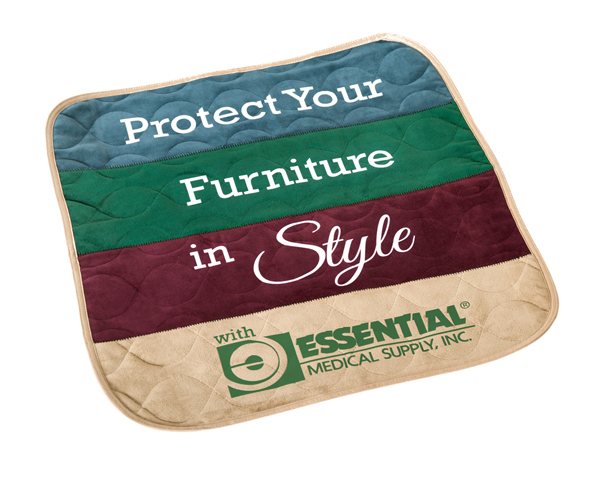 Here at Daily Care Medical Supplies, we offer the CareAssist Bed for rent as well as purchase. 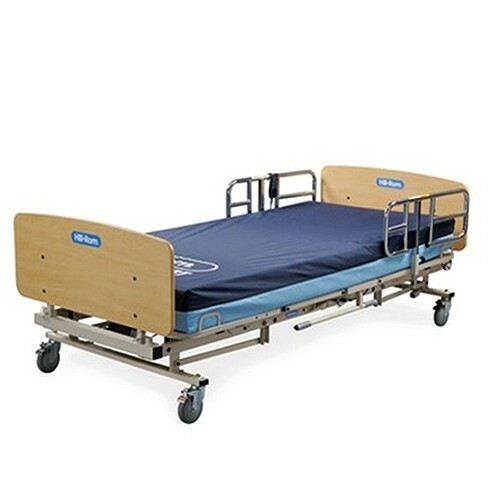 The Advanta 2 Bed can be purchased for homecare use although it is not listed on our website. With intuitive controls, a wide range of positioning options, and a full suite of safety features, and an integrated scale built into the hospital bed. Please call us for more information on the Advanta 2 Bed (818)705-0606. For individuals with severe conditions who are immobile/have limited mobility, are significantly dependent on caregivers and are at high risk of pressure ulcers we recommend the Versacare Bed, Total Care SpO2RT 2 Bed, or the Progressa Bed System. These hospital grade beds are highly complex thus, we ask that anyone interested calls us at (818)705-0606 and speaks with a Hill-Rom Certified and trained specialist for assistance.